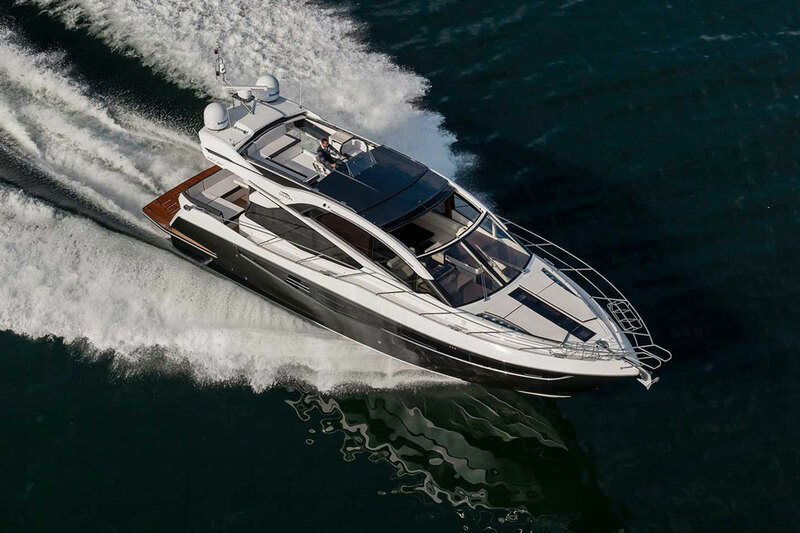 This beautiful Italian designed 42' Her sister ship the Canados Gladiator 428 outboard model is making her U.S. debut at the Miami Yacht Show 2018. A sleek, new model with upgrades that are sure to wow the crowd! 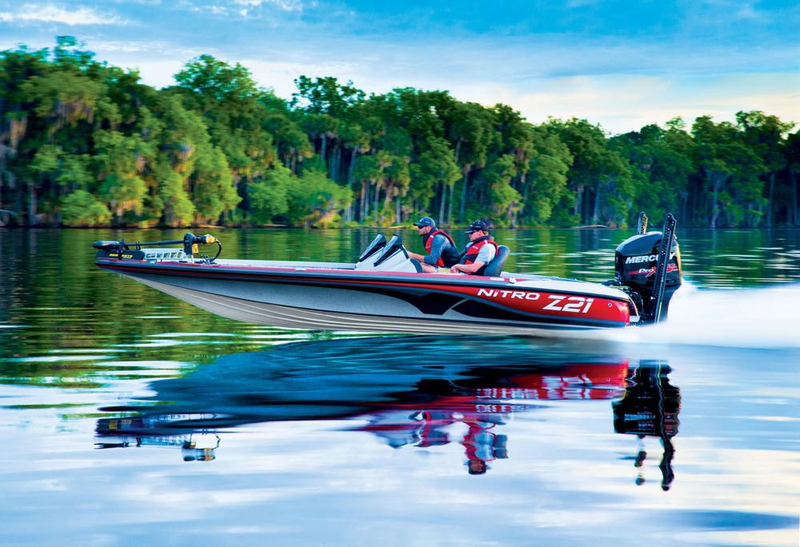 See listings for Open Outboard Model and Inboard Model. 428 Gladiator is the ultimate “Must Have” day-cruiser. No need to disembark from a super-yacht to arrive in style! 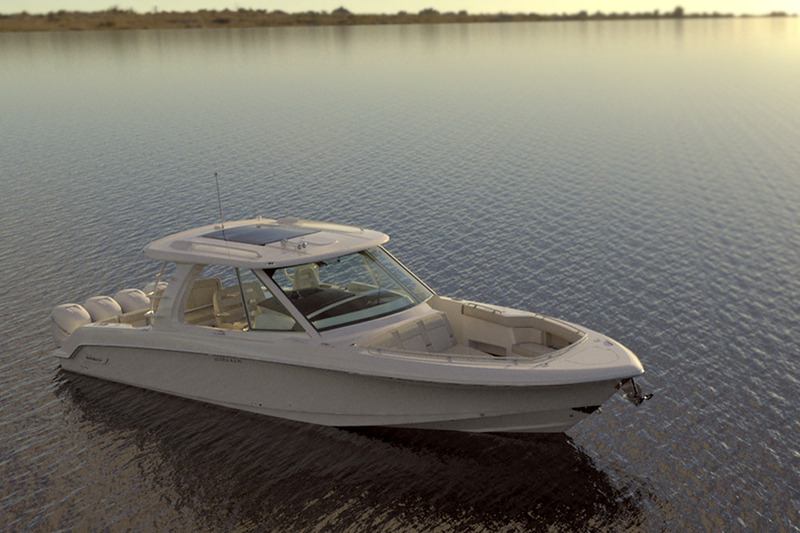 The 428 Gladiator is fast, from 40 to 52 knots depending on the engine package, dry, and will take you anywhere in the utmost comfort. the Gladiator from far the best boat in the category. The high tech construction process using only the best components and equipments makes it THE day cruiser “par excellence”. luxury feeling. 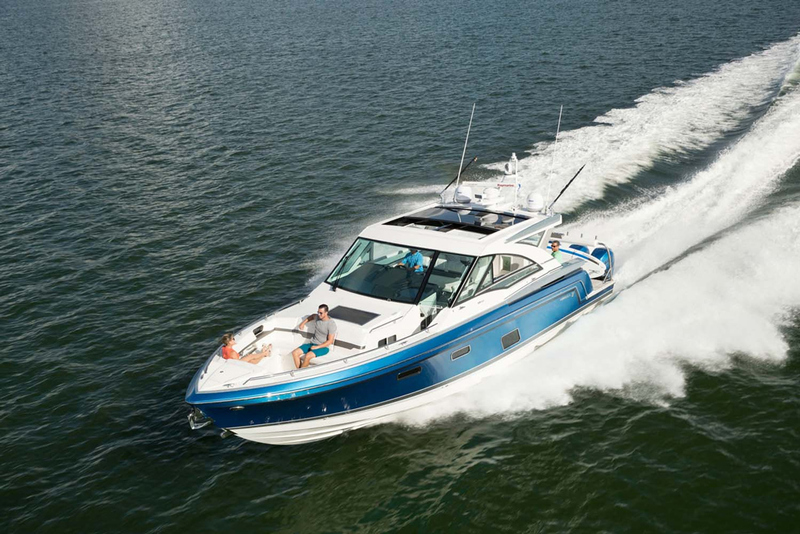 The 428 Gladiator is the smallest boat ever built by our Iconic Shipyard, Canados. The 16 inches touch-screen “Crystal Cockpit” allows controlling the entire boat including engines parameters, autopilot, depth sounder, chart plotter and sound system. carbon fiber hard top. The LED lighted control switches commanding all the organs of the boat are participating in giving a hightech atmosphere. Roman designer Marco Casali is responsible for the 428 Gladiator stunning timeless design. Casali managed to give the boat a posh, aggressive and above all practical design, including the custom hand made interiors build from the finest wood veneers and components by our artisans. Thanks to its 4,19 meter beam at the windshields base, the cabin is wide and comfortable, allowing for a good night sleep or a comfy afternoon nap. The bathroom is also roomy and nice with its skylight and easy maintenance concept. 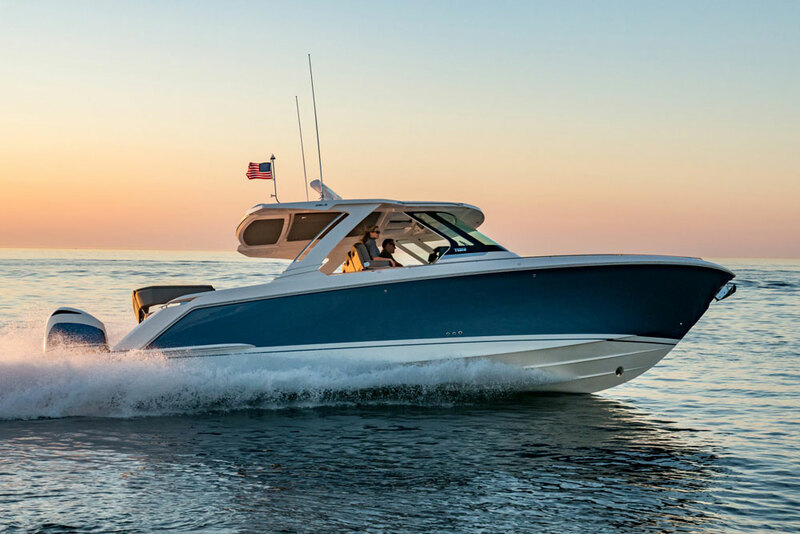 As part of the standard, the hull of the Gladiator 428 is painted with a choice of 15 custom colors made for Canados by Dupont®. If you have a specific lucky color, we can offer, as an option, a choice of over 400 different colors, flat or metallic. Kids and guests are able to move around the entire cockpit, even in rough water navigation, without any risks of missing a step. 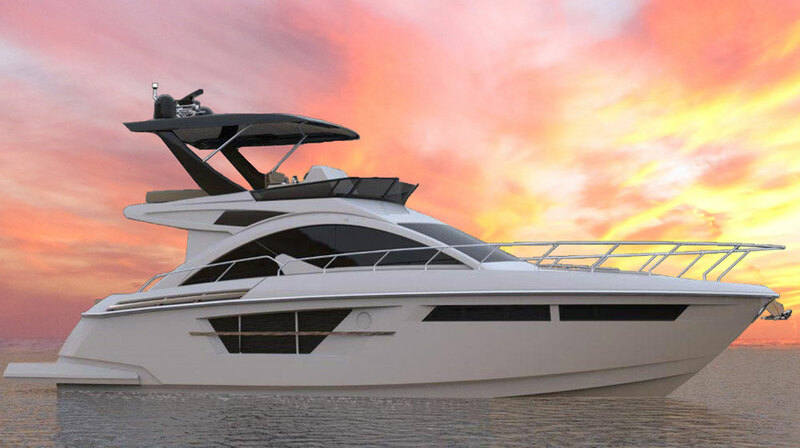 This concept also optimizes the usable space, which you will really enjoy when the boat is at anchor. Accessing the foredeck is not any more reserved to tightrope walkers. The central integrated stairwell makes the foredeck easily accessible. 2 x Volvo Penta D6 – 400 hp with DuoProp Stern Drives. Hydraulic pump feeding engine hatch opening pistons. Sun pad aft with storage underneath for toys or Seabobs (extra). The sun pad is hydraulically operated to access the engine room. Shore power socket with 10 meter 120 Volts shore power cord. Garmin Crystal integrated cockpit with 17” screen. Garmin GSD 24 GPS chart plotter module 50/200 Khz integrated in the crystal cockpit. Garmin B 60 depth sounder module integrated in the crystal cockpit. Garmin 300I VHF Black Box.